Perfect dessert treat to serve for 4th of July! 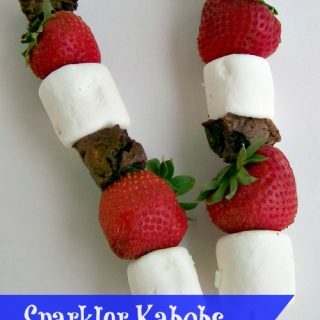 Take each stick and alternate putting a strawberry, blueberry, brownie piece and marshmallow on it. Keep putting pieces on until the stick is full.